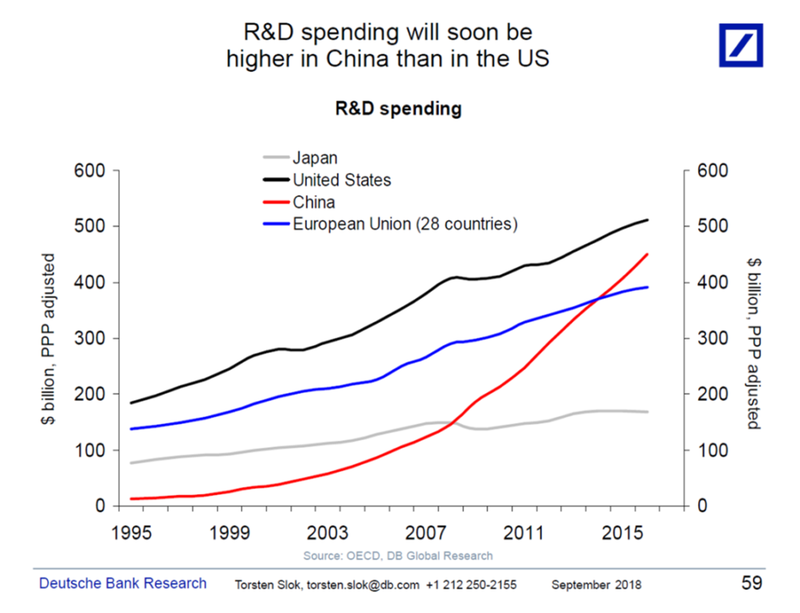 First, a graphical cold shower: China’s Research and Development spending already exceeds that of Japan and the EU, and is approaching and may soon overtake that of the United States, with dire consequences for the dynamism and competitiveness of our economy. Now, a new memoir by a great American, John Kerry, the man who should have been President from 2004 to 2012. John Kerry’s Every Day Is Extra is a memoir of his time in public service including his time in the Senate, his unsuccessful Presidential run, and his service as Obama’s second Secretary of State. It might be read as the curriculum vitae of a potential Presidential candidate in 2020. Gov. Ducey and Dem nominee Garcia are locked in neck and neck race per latest polling; the debates should be very interesting. 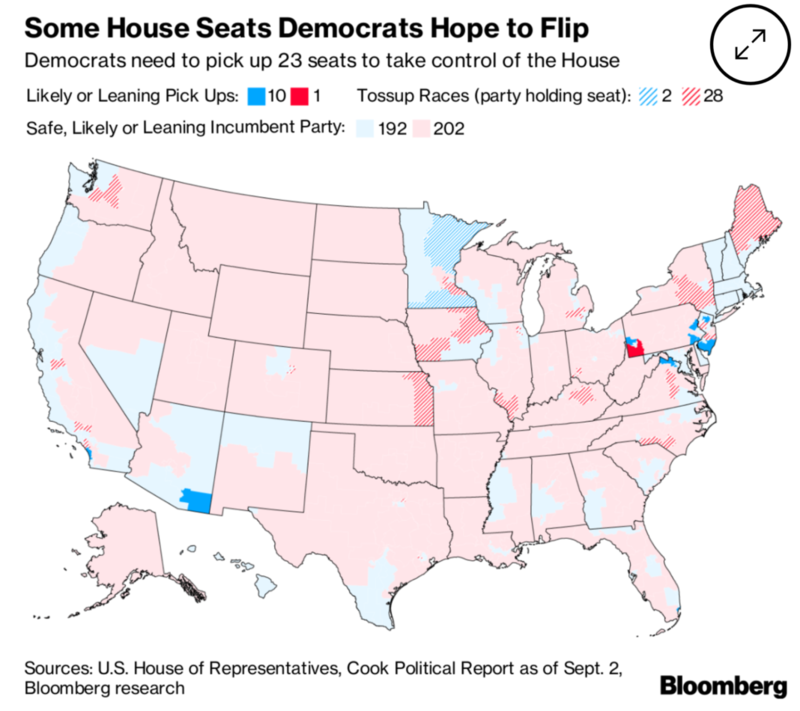 Democrats are hoping to take either the AZ Senate or AZ House this cycle; we have some steep hills to climb to get there. Former GOP AZ AG Grant Woods considers running for McCain’s seat in 2020, as a Democrat. Maricopa’s BOS grills County Recorder Fontes about problems in 95 precincts that affected thousands of AZ voters. Frank Riggs claims victory in close AZ SPI race. AZ’s Lege won’t stop distracted drivers so cities are stepping up to protect motorists. Columnist E.J. Montini agrees that Kyl should recuse from Judge Kavanaugh vote because of his role as “sherpa” for the nomination. Many AZ public schools are hiring foreign teachers because of uncompetitive salaries don’t attract enough native teachers. Pima Co. Sheriff Napier doesn’t agree with the BOS decision to end the Stonegarden grant. Reporter Blake Morlock shares his experience with newly appointed Sen. Kyl. AZ LD 9 will get a GOP write-in nominee Randy Fleenor on the ballot in November. Sen. Flake’s first round of questioning of Judge Kavanaugh was unsurprisingly mild: could he still do the honorable thing and vote against the confirmation? An excellent op-ed on mass incarceration and what we could do with that money instead by the head of the AZ ACLU. Looks like Congressman Raul Gallego is looking at McCain’s Senate seat in 2020. Kathy Hoffman will be facing Frank Riggs for the AZ SPI position; I like her chances. Sen. Booker risks expulsion from the Senate to release a “confidential” email by Judge Kavanaugh regarding racial profiling. The Big Dog, Former President Obama, is stepping back into the ring for the Democrats fighting to take the Congress this November. Kavanaugh refuses to say whether he will recuse himself on matters touching the President who appointed him. Kavanaugh ruled against the public interest in every split decision ruling he’s ever made according to a new report by Public Citizen [PDF]. National Academy of Science calls for trashing all voting machines without a paper trail to secure the vote. The American Prison Revolt continues. Talking Point Memo did an excellent long-form series called “Retreat from Democracy” about voting rights, voter suppression and fraud, and gerrymandering that is worth your time to read, part one, two, three, and four. The Trump Admin backs out of a longstanding court settlement in order to pursue indefinite detention of refugee families seeking asylum. Some say our economy would be more dynamic if only the government would get out of the way, but economist Mariana Mazzucato says we’ve got that story exactly backward. A great long-form piece on America’s student debt machine and the harm it does our nation. Judge Kavanaugh may have pulled an Icarus and be brought to impeachment by the lies he told to be confirmed to the D.C. Circuit Court of Appeals. Democrat Ayanna Pressley pulls off a major upset against an entrenched Democratic congressional incumbent in Boston. FL voters get a chance to enfranchize more than 20% of their black voters in November with a ballot initiative, Amendment 4. 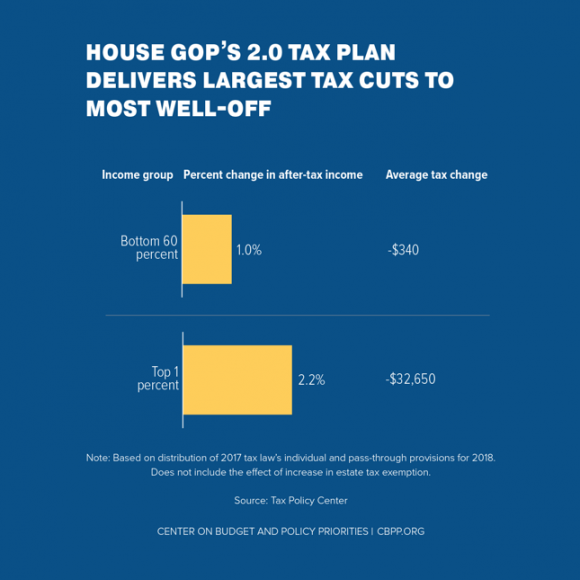 Cuts to the corporate tax rate in the GOP tax plan for off-shore funds being repatriated did not result in the desired surge in investment, but a tidal wave of stock buybacks enriching the wealthiest. Sen. Sanders and Rep. Khanna are looking to get mega-corps off welfare with the BEZOS Act. Trump is digging in and refusing to answer any questions from special counsel Mueller according to his “attorney” Rudy Guilliani. Asylum-seeking kids forcibly separated from their families are still in detention and contemplating escape or suicide. Sayfullo Saipov, who murdered 8 in a terror truck attack in New York in 2017, is arguing against the death penalty based on Trump’s tweets about his case and calling for his death. Previous articleWhat Kathy Hoffman will do as Superintendent of Public Instruction?